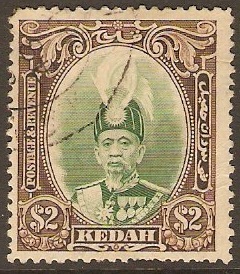 Kedah 1912 1c Black and green. SG1. Unused 1912 1c Black and green. SG1. No gum. Kedah 1912 3c Black and red. SG2. Fine used 1912 3c Black and red. SG2. Kedah 1912 4c Rose and grey. SG3. 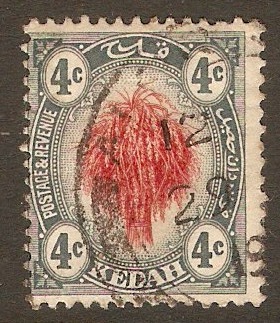 Used 1912 4c Rose and grey. SG3. 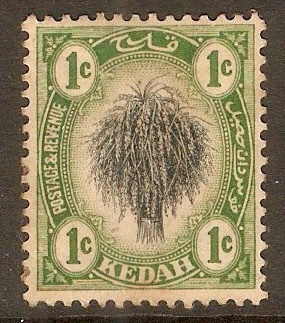 Kedah 1912 5c Green and chestnut. SG4. Used 1912 5c Green and chestnut. SG4. 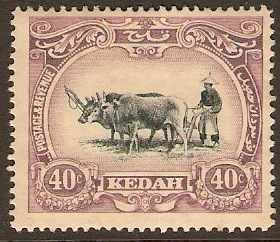 Kedah 1912 40c Black and purple. SG9. Mounted mint 1912 40c Black and purple. SG9. Yellowed gum. 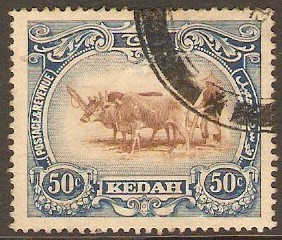 Kedah 1912 50c Brown and blue. SG10. Used 1912 50c Brown and blue. SG10. 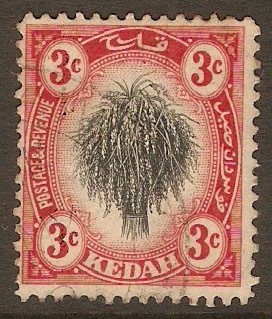 Kedah 1912 $1 Black and red on yellow. SG11. Used 1912 $1 Black and red on yellow. SG11. 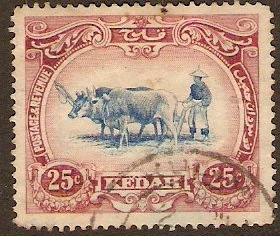 Kedah 1919 Rice Sheaf and Ploughing set. SG15-SG23. Fine used 1919 Rice Sheaf and Ploughing set. SG15-SG23. 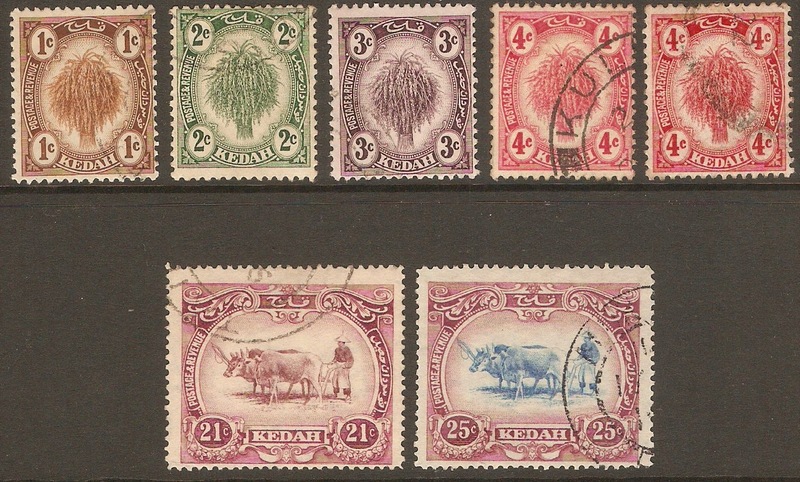 Kedah 1919 25c Blue and purple. SG23. Used 1919 25c Blue and purple. SG23. 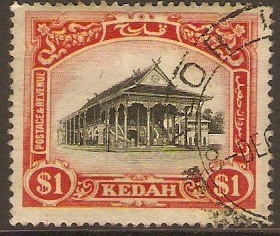 Kedah 1921 1c. Brown. SG26. 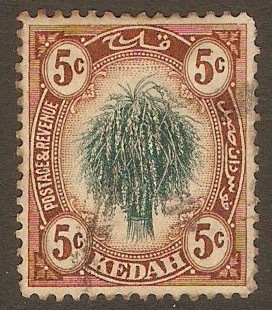 Unmounted Mint 1921 1c. Brown. SG26.